Darius is 16 and from Baltimore. 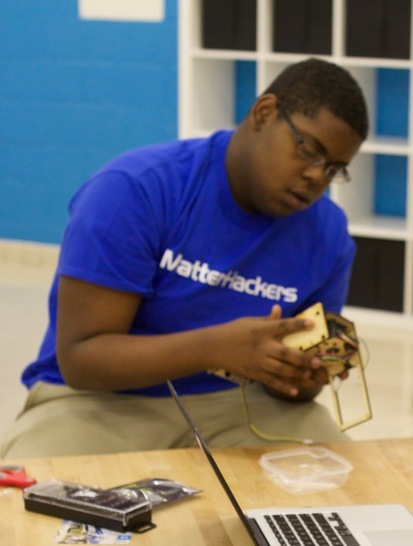 He first learned about 3D printing by coming to the Digital Harbor Tech Center, and built his first printer in May. Since then Darius has been involved in building 3 more, and founded a business with his friend Eric. Frozen Lava and mainly focuses on 3D printed iPhone cases, and they are available for purchase at the Bmore3d store.